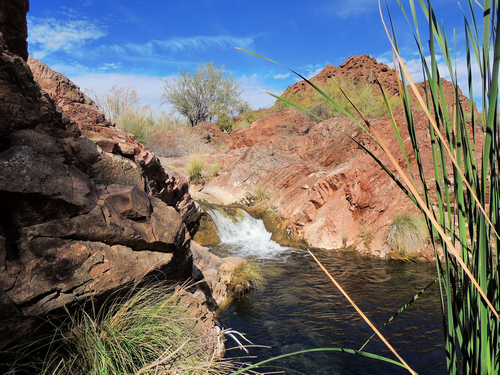 Earp Falls is created by seepage from Copper Basin Reservoir and is a perennial waterfall. 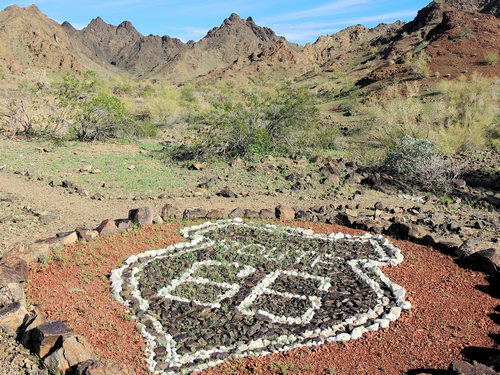 The associated wash is verdant with palm trees and other vegetation not commonly found in this area. The water is cold and clear. 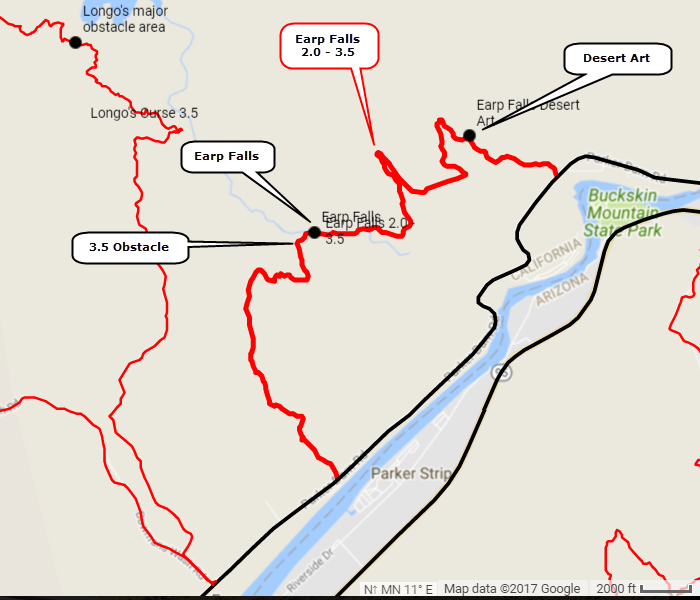 This trail is rated 2.0 from the north end to just south of Earp Falls. There is a 3.5 rated obstacle just south of Earp Falls. The trail is also rated 2.0 beyond the obstacle but there is no go-around, hence the 2.0 - 3.5 rating. 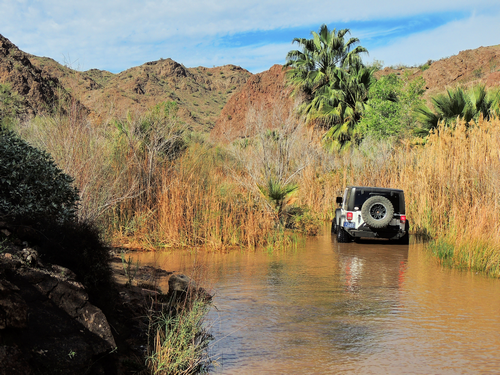 Stock Jeeps can easily visit desert art and the falls along the north part of the trail then turn around. Well equipped ones can continue on. 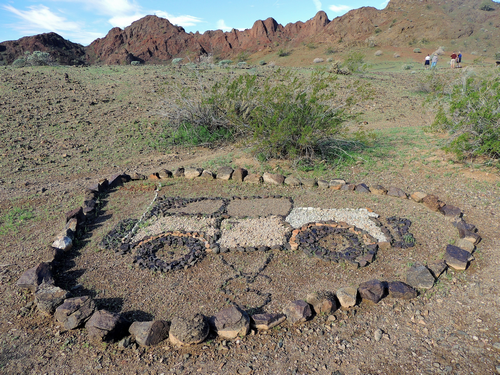 There are a couple dozen displays of desert art created with colored rocks near the north end of the trail. A short walk off the road. 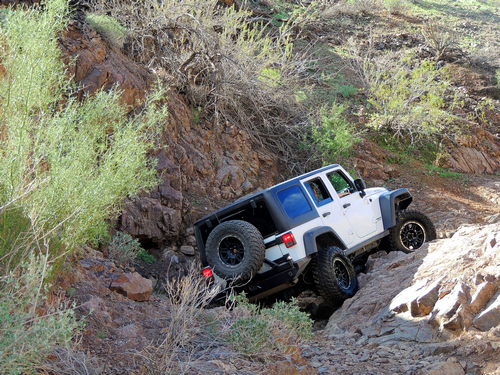 Continuing south of Earp Falls requires fording the creek and climbing over a 3.5 rated obstacle.